For Kasey Isobe and her Mililani girls' soccer teammates, the spirit of giving isn't a seasonal thing. 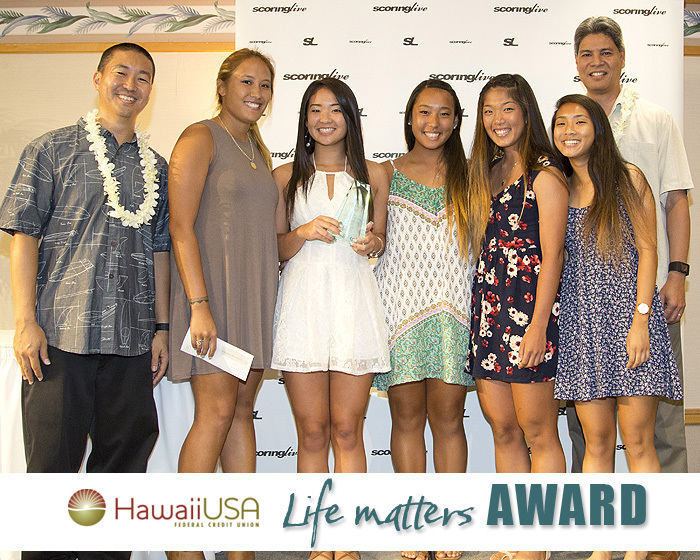 The Trojans, along with the Farrington football team, were honored for their volunteer efforts at the Distinguished Athlete Awards as the recipients of the Life matters Award. 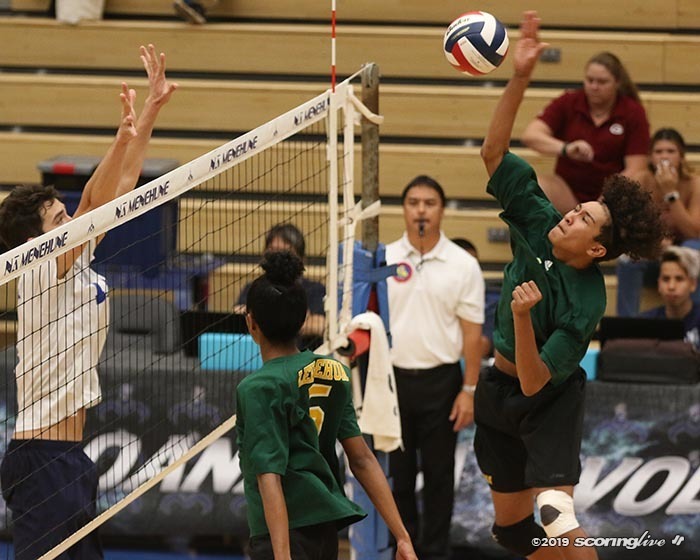 For the third consecutive year, ScoringLive teamed up with Hawaii USA Federal Credit Union to recognize high school athletic teams making positive changes in the lives of individuals and organizations in their communities. 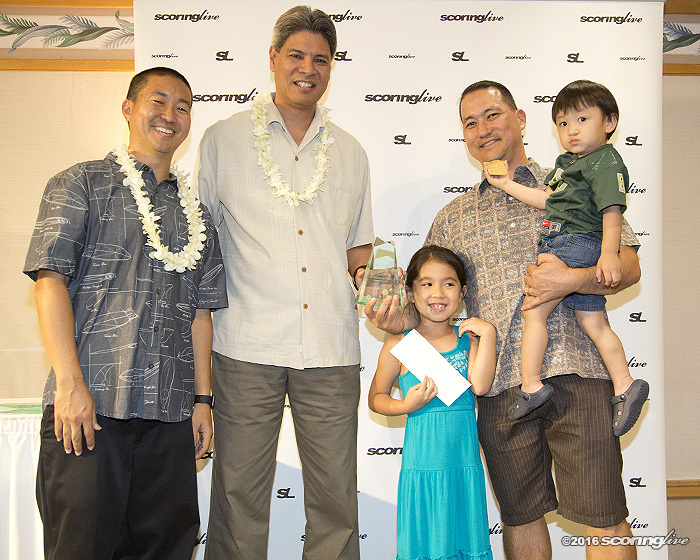 Each team received a $1,000 check from HawaiiUSA FCU Senior Vice President of Marketing and Community Relations Scott Kaulukukui at Sunday's awards dinner at the Manoa Grand Ballroom at the Japanese Cultural Center. 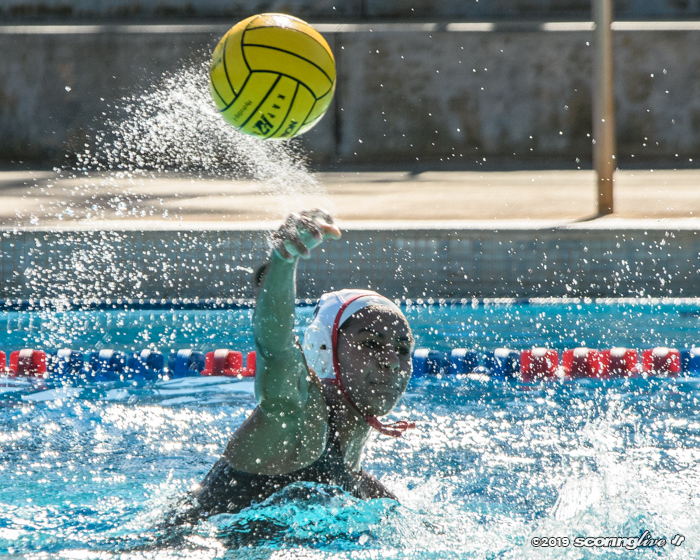 Isobe, a captain and three-year varsity player, said the various service projects her team took part in taught them a valuable lesson in the process. 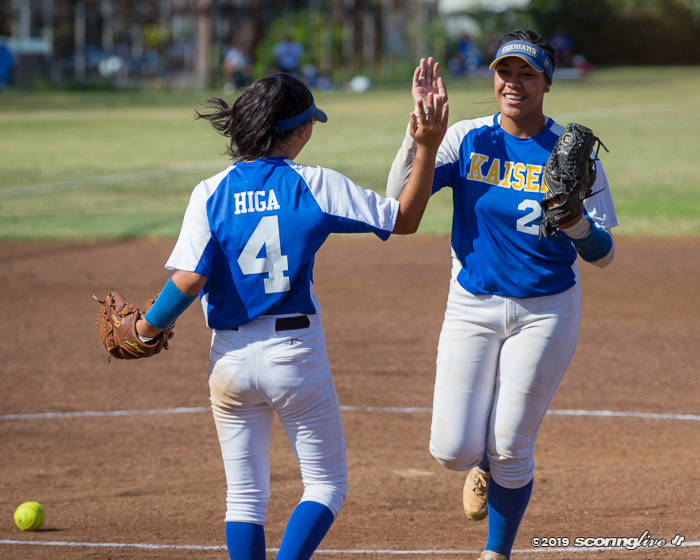 "We had to work together and it brought us closer, taught us teamwork, which helped us in season, too, as far as getting together and working together on the field, so it benefitted us," Isobe said. "With all of the community service, it just felt good to give back. It made us realize that it wasn't just about us, that it was about our community. Our community always supports us and we want to support them, too, and give back, too." The Trojans kept busy in the community throughout the year. Last summer they teamed with AYSO to conduct free soccer clinics for players ages 5 to 12 over three consecutive weekends. They also volunteered as referees and scorekeepers at the Special Olympics and conducted a canned-food drive for the Hawaii Food Bank. "We got together in the morning in groups and went door to door asking for non-perishable items," Isobe said. "The team did really well. 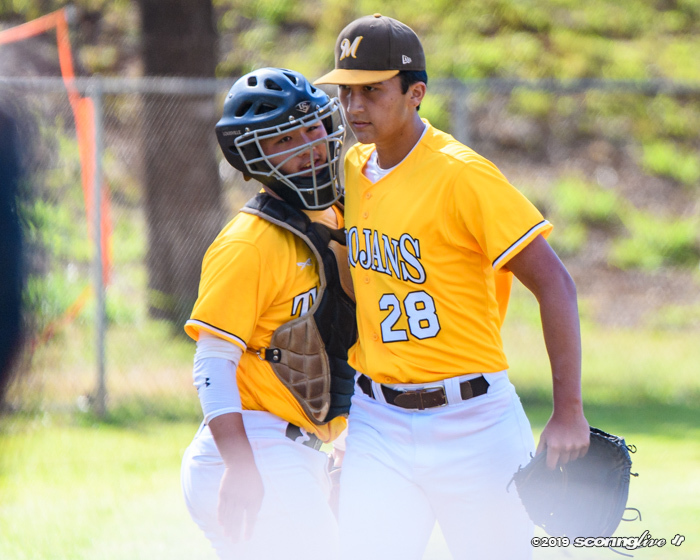 The JV team did it with us, too and I think we covered almost all of (Mililani) Mauka." The team participated in campus beautification, where it cleaned up John Kauinana Stadium and painted a tunnel that bisects the 42-acre campus. Players also held signs along Meheula Parkway promoting safe driving as part of the Honolulu Police Department's Traffic Awareness Program. 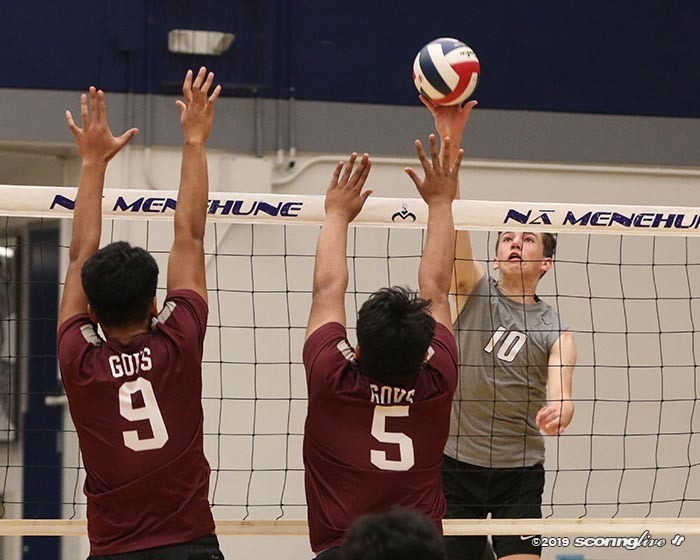 "I think that doing all these community service things and different activities with our team and with our community keeps us grounded," said Isobe, who will play for Portland State University in the fall. "When I first came out it was rewarding for me in the beginning and as we got older, seeing more people help out and get involved has been awesome." The Governors, meanwhile, developed relationships with special education students through the "Friends Program," where they ate lunch and played games together three times a week in the school's cafeteria. "It's basically bonding and sharing moments with them," said running back Challen Faamatau. "We have lunch with them, do all kinds of activities — sometimes we go to the beach — just spend time with them." Faamatau recalled an especially fond memory he made through the program nearly two years ago. "My sophomore year when we played Campbell, they were there to support us and give us lei after the game," Faamatau said. "It benefits us really knowing we're there for them, but they're there for us, too. It's not a one-way thing. They support us and nobody knows what they do for us." The team began a campaign on campus to end the use of derogatory words for special education students and got fellow students to sign pledges of support. Players even helped to plan a prom just for the Friends Program and attended the Special Olympics to cheer on their classmates. Giving back has been a humbling experience, Faamatau said. "We know that they don't have the opportunities that we do and that's why we say that we're blessed to be able to go to class and do something each day like play football," Faamatau said. "They're not able to do these things, they can't go into a classroom and learn something every day or do what we do on a daily basis." The Govs also volunteer their time and energy at the annual Friends of the Library of Hawaii Booksale at McKinley High School, where they do a lot of the blue-collar work behind the scenes. "We go early in the morning to the warehouse and grab all kinds of big shelves and books and do the hard jobs — what they can't really do," Faamatau said. The team also assisted in recycling drives and paid visits to the Shriners Hospital for Children and nearby elementary schools to encourage students to set goals and dream big. For Faamatau — a speedster out of the backfield for the Farrington offense — all of the altruistic work has helped to put things into perspective. "It's about giving back to the community and doing what we do because we know that doing our best off the field matters as well, not just on the field," Faamatau said. "We understand that people look at us as who we are outside of football — in the classroom and in the community — and not just when we're on the field and when we do this we get to know each other and that helps us on the field, especially after a loss, to just keep encouraging each other." Isobe had much the same to say about her team's growth through their community service. "We don't get too high off the wins or too low in the losses, because we know we're still doing good for the community," Isobe said. "In a way it makes it seem like the losses don't matter. We know that it's just a game and we still take it seriously when we lose, but being a part of the team and being able to do good for our community makes it worth it. We take pride in our work, no matter what." 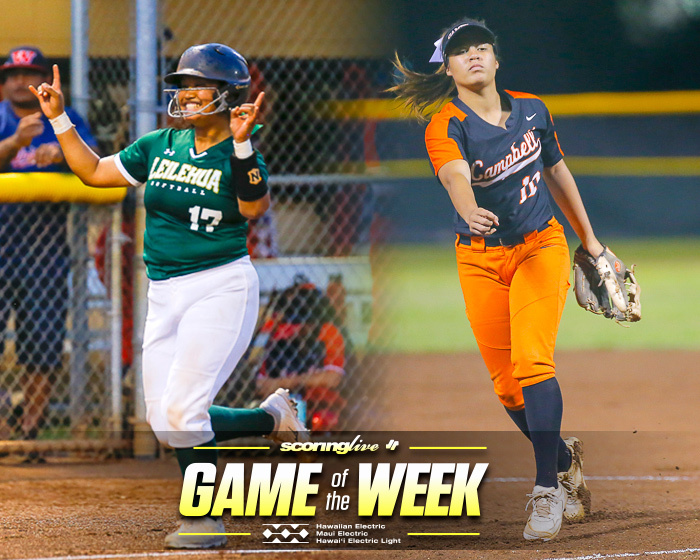 Past winners of the Life matters Award are the Hilo girls' basketball, Kailua softball, Mililani football, Mid-Pacific softball and boys' soccer and Leilehua cheerleading teams. For more information on the Life matters Award, visit www.scoringlive.com/lifematters.